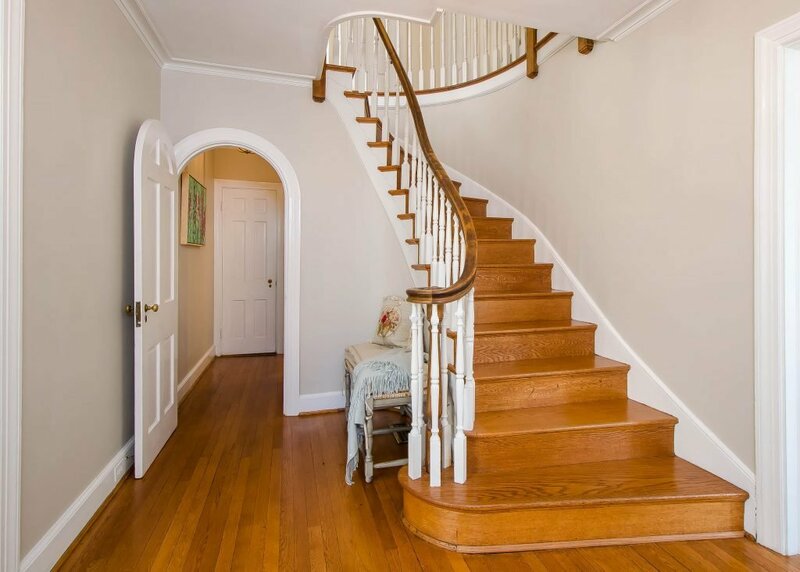 The spacious brick Georgian at 2009 Westover Hills Boulevard was built in the 1930s and features classic design of the times, including a magnificent curved stairway with hand-crafted bentwood railing. 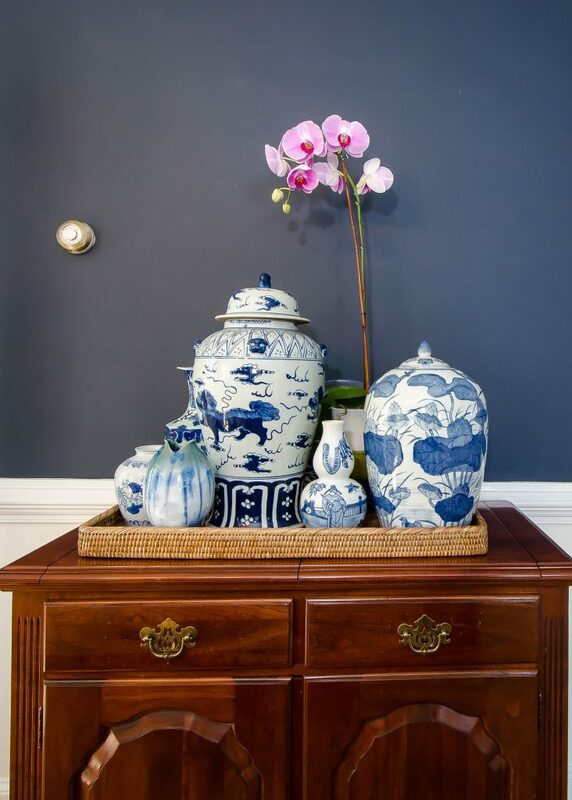 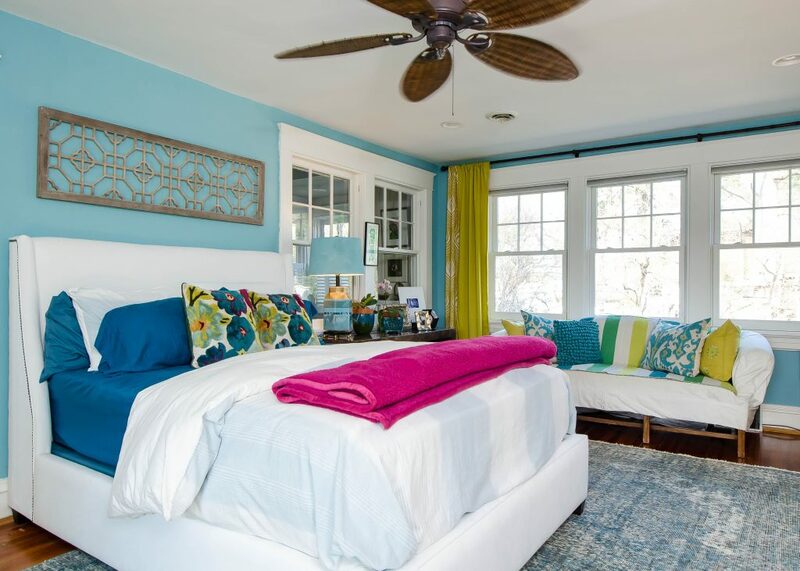 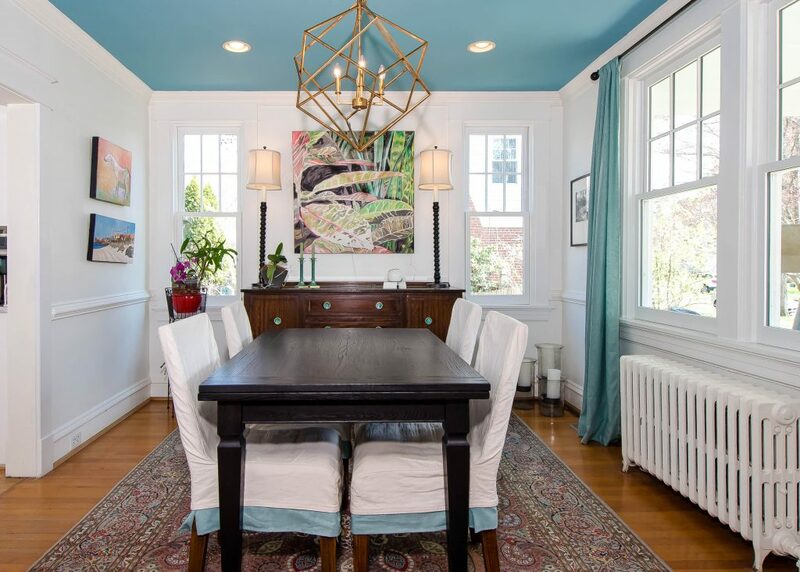 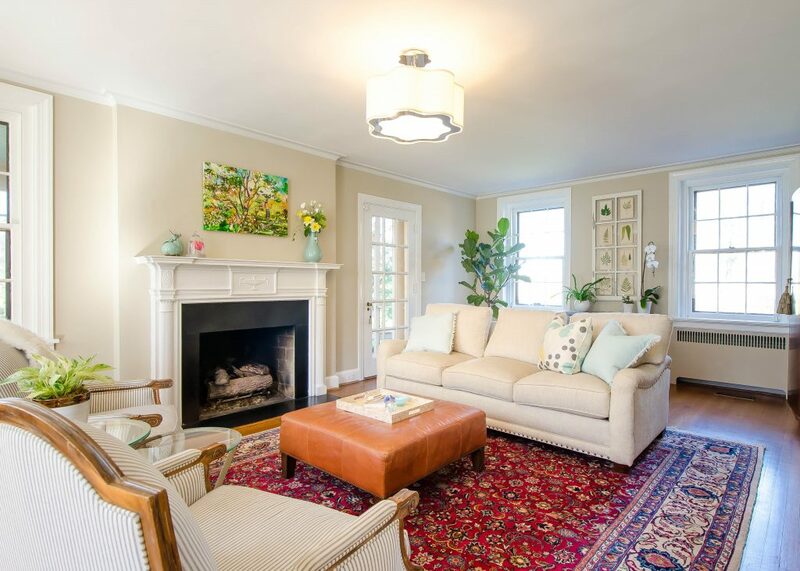 The owner’s passions for nature, gardening, music, and art is showcased throughout the home, which is furnished with family antiques and treasures from local antique shops. 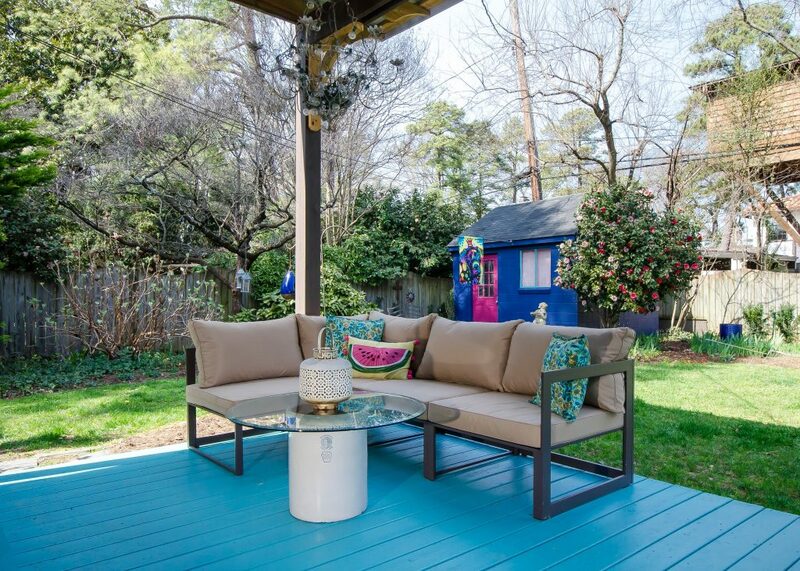 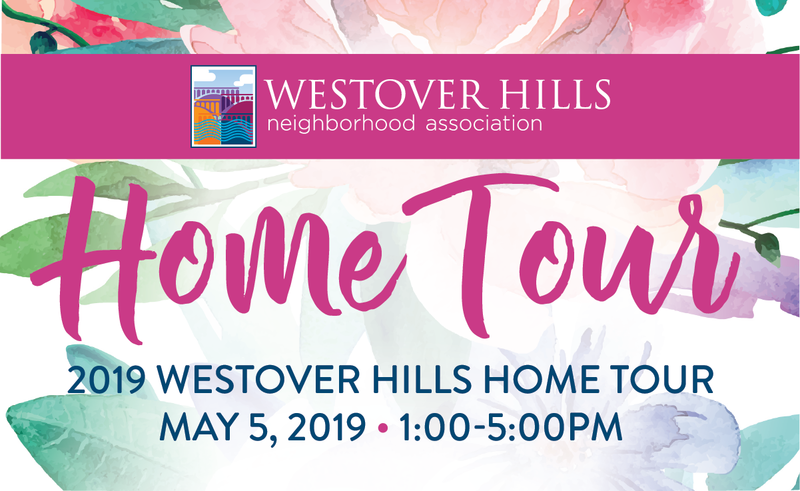 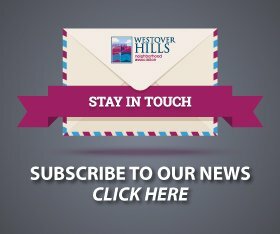 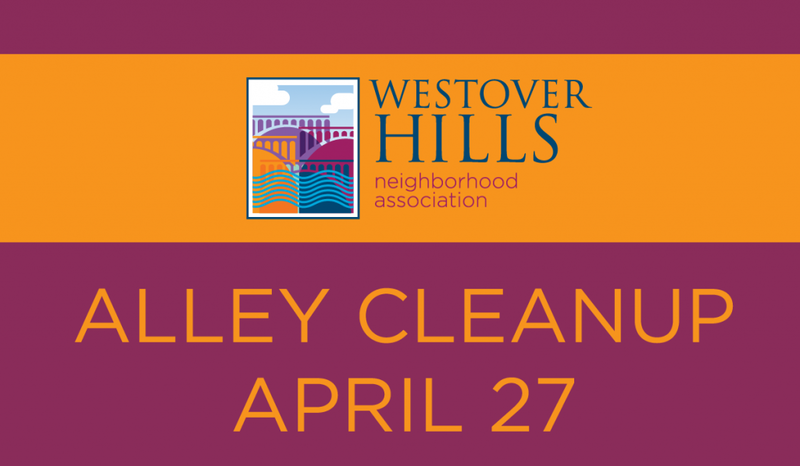 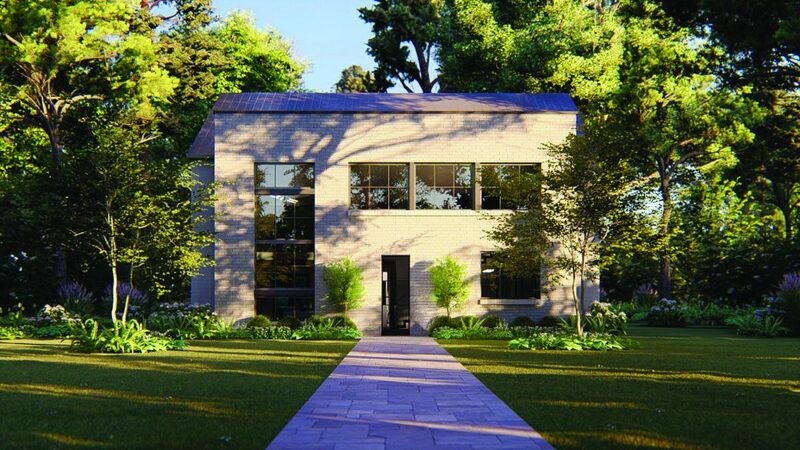 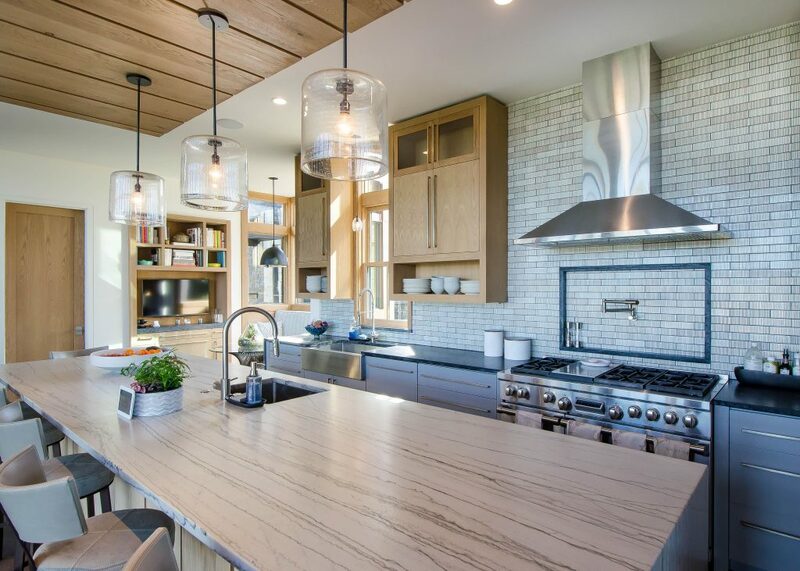 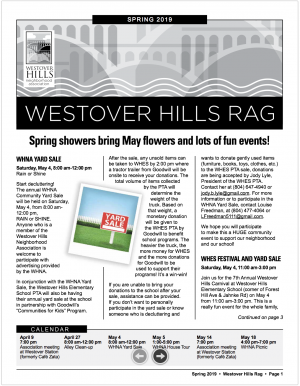 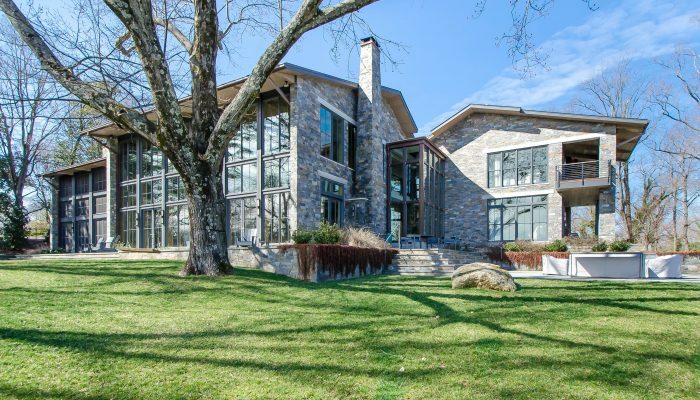 When you visit this home on the 2019 Westover Hills Home Tour (May 5 from 1 to 5 p.m.), don’t forget to stroll through the beautiful professionally landscaped grounds. 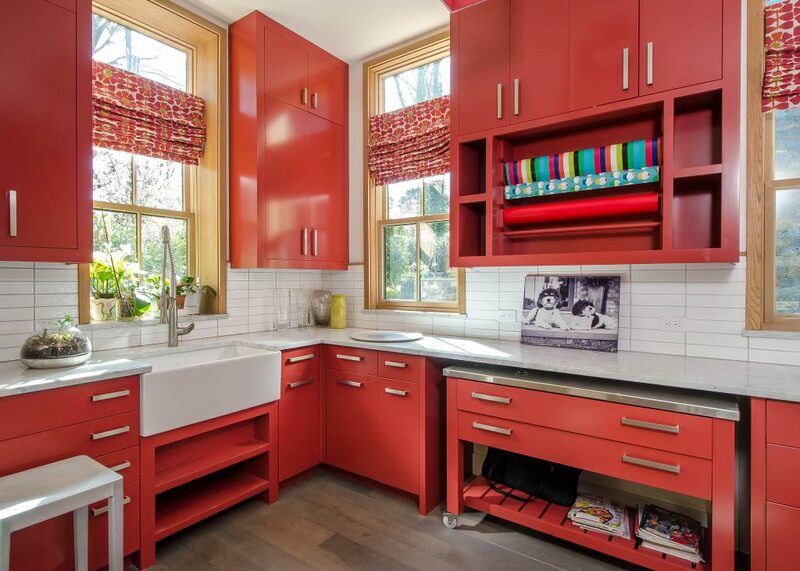 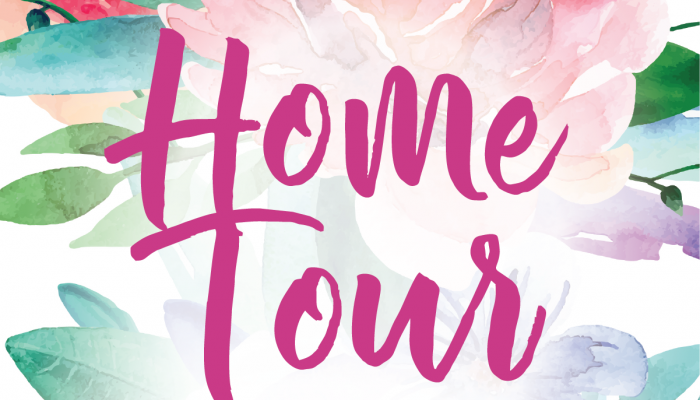 Click HERE for more on the home tour and to buy tickets. 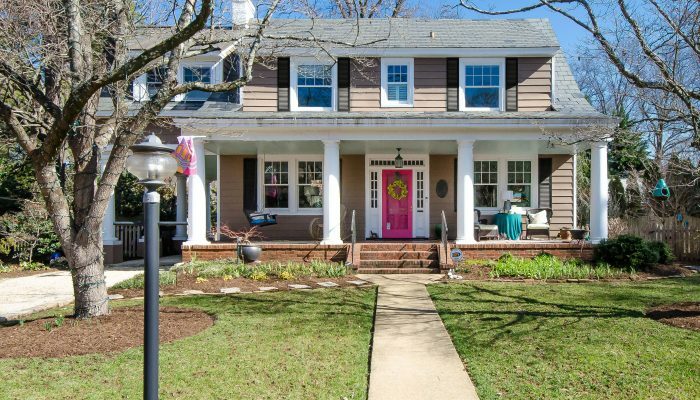 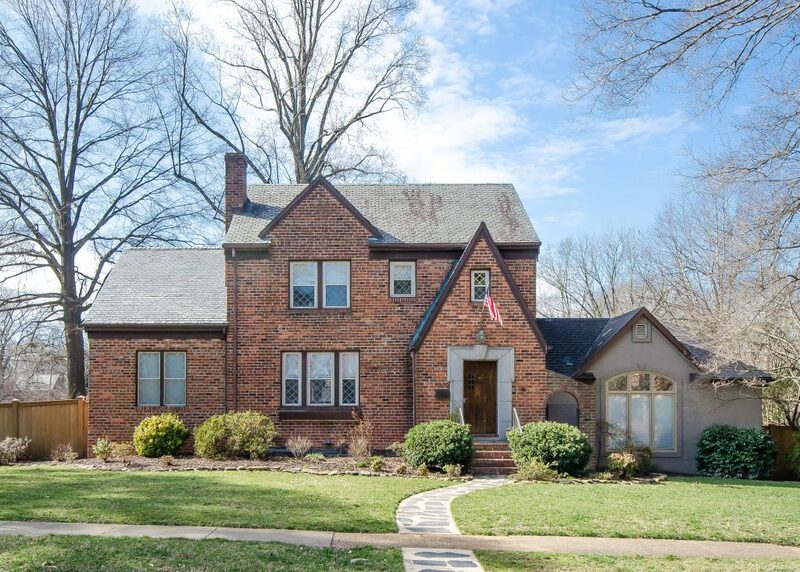 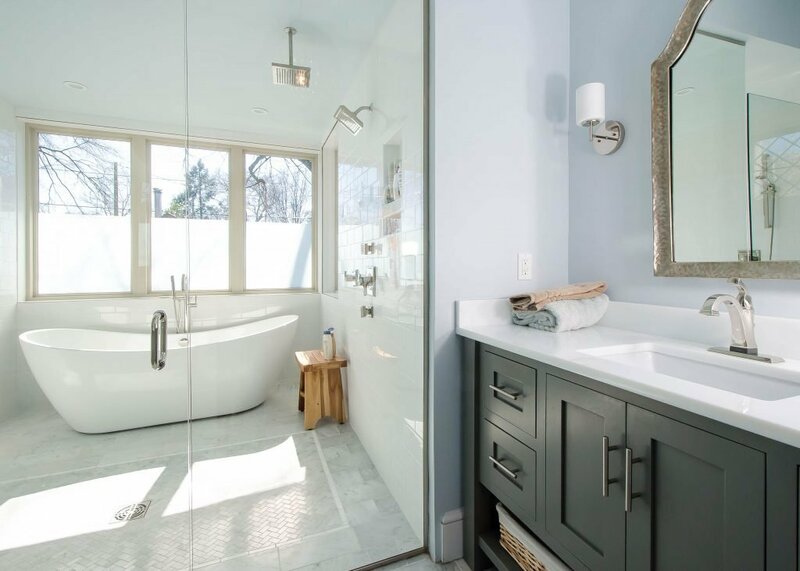 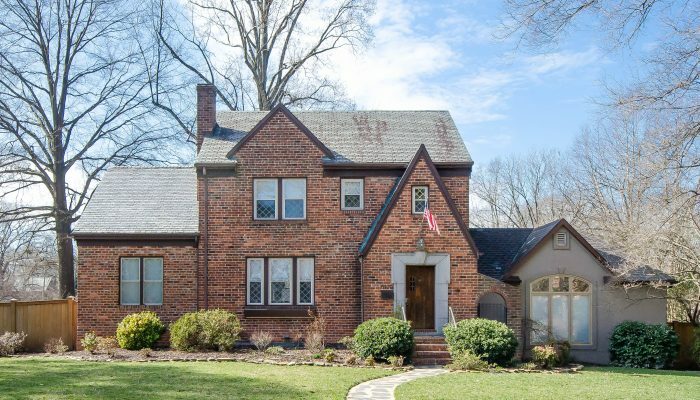 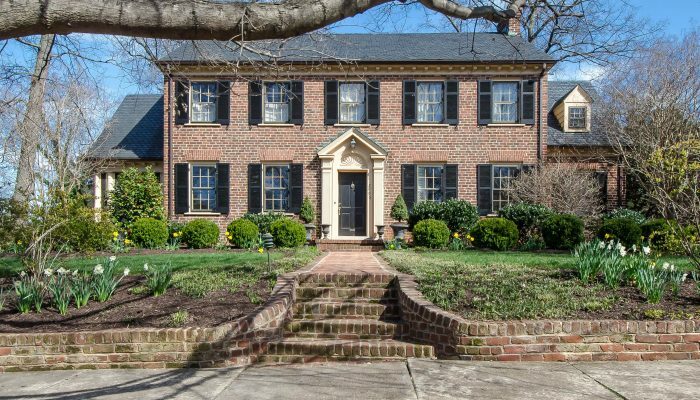 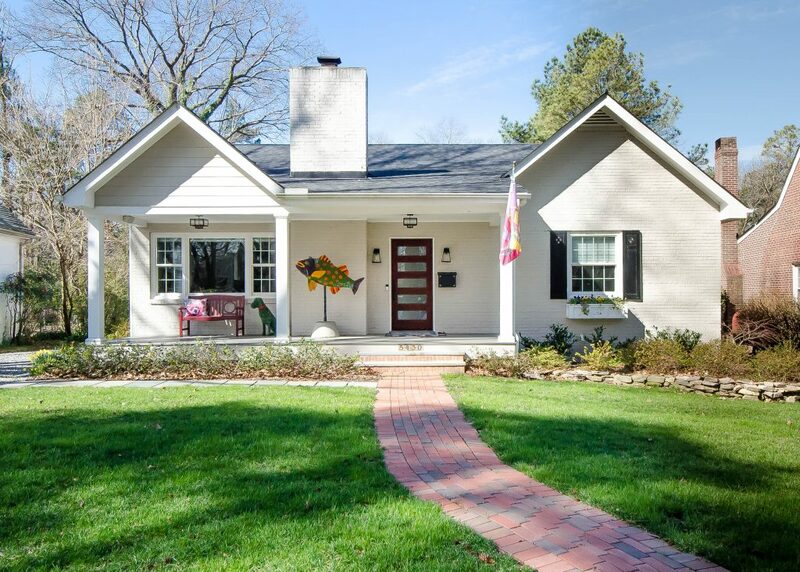 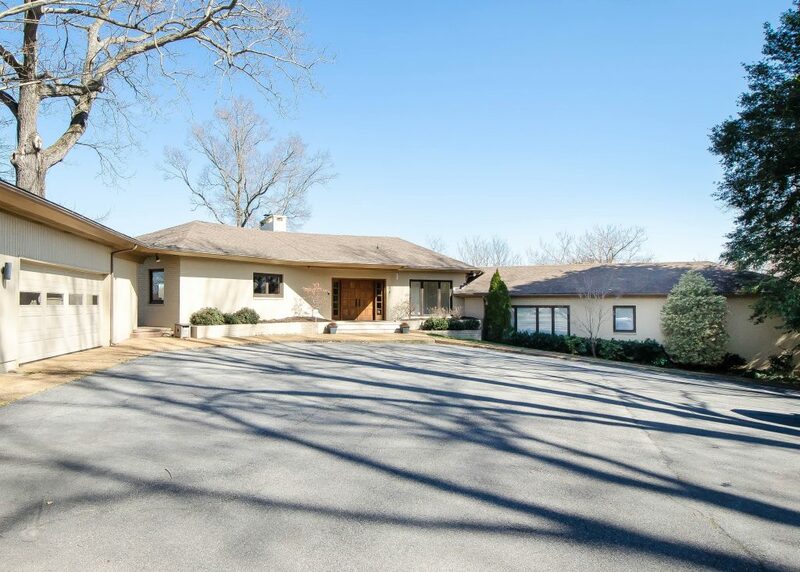 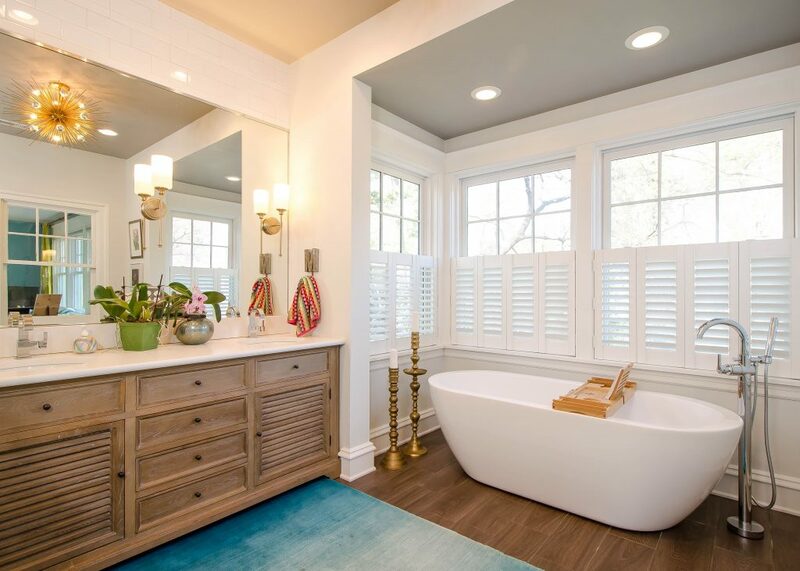 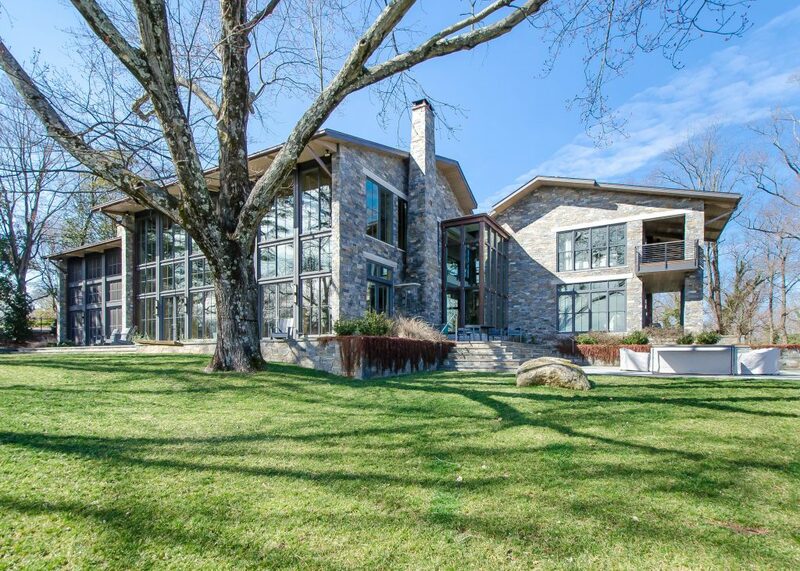 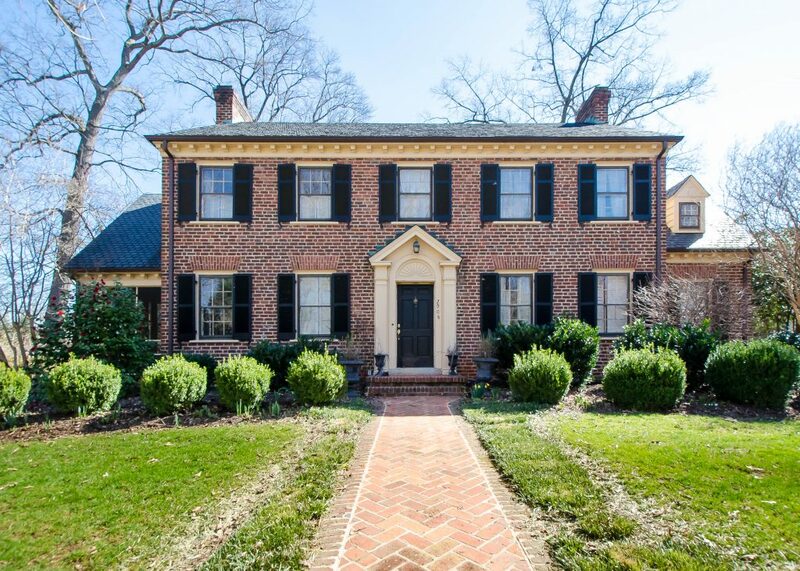 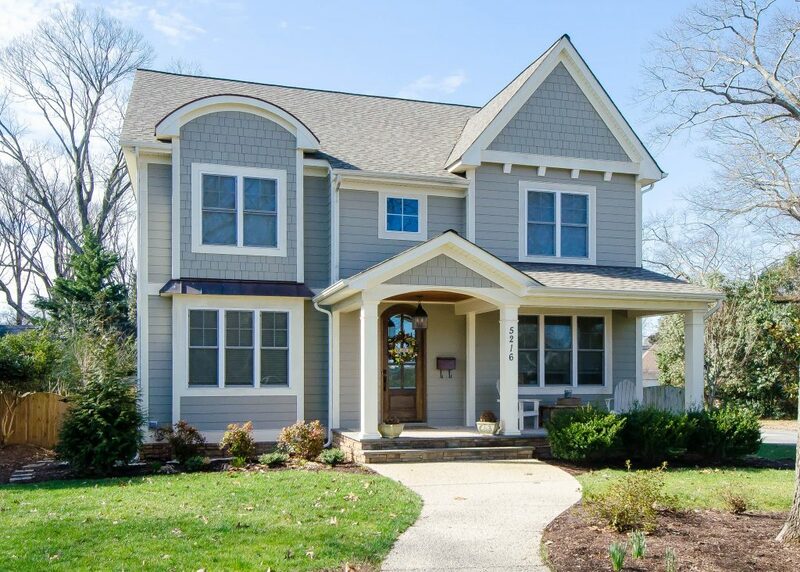 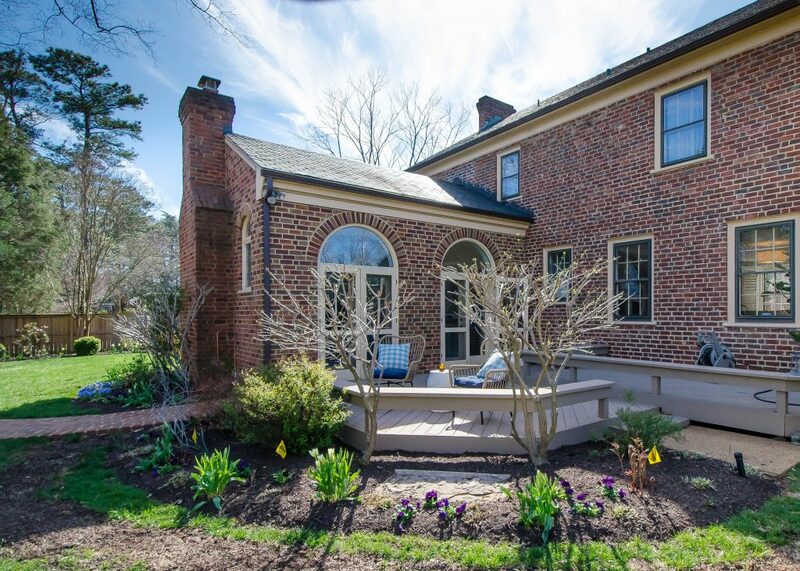 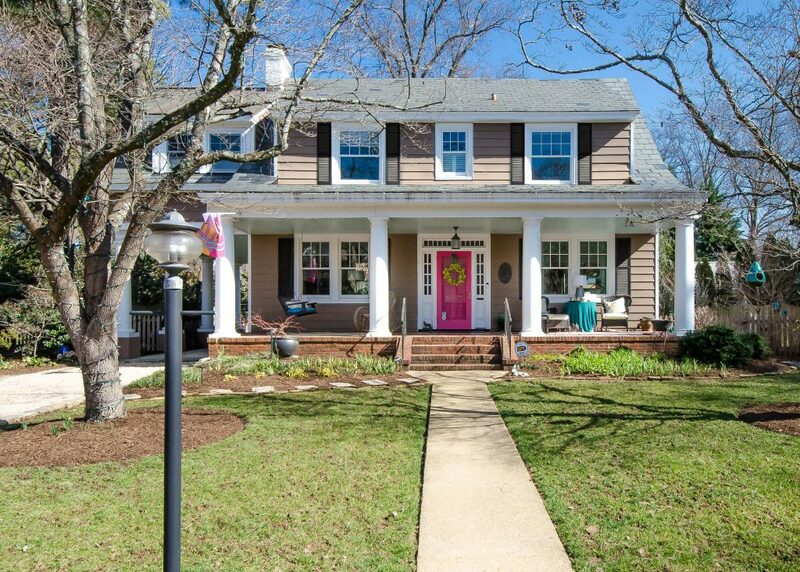 This 3,000 square-foot Tudor built in 1939 just got a new addition, an amazing and luxurious master bath with a “wet room.” It’s one of 8 homes on the 2019 Westover Hills Home Tour, set for May 5 from 1 pm to 5 pm. 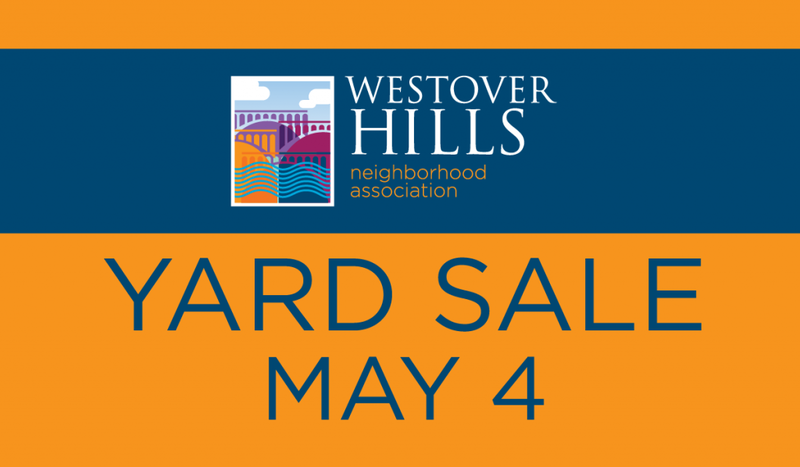 Click HERE for more info and to buy tickets. 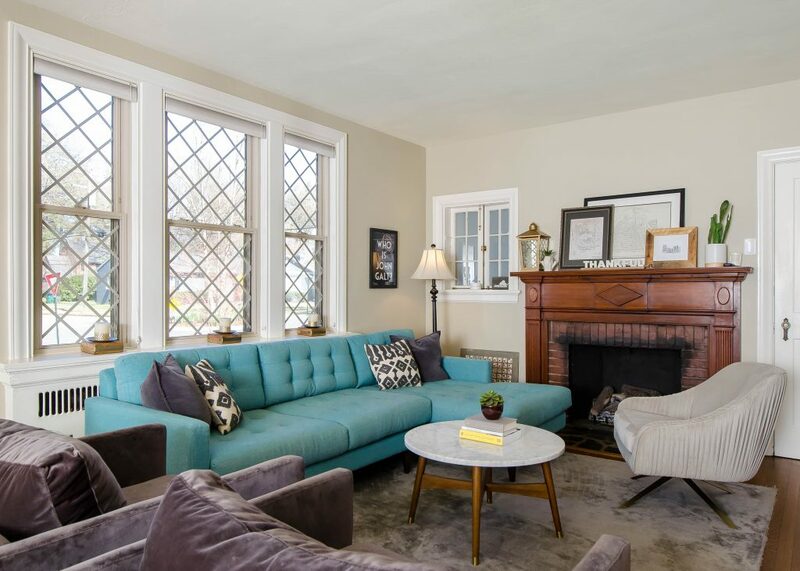 5100 New Kent also has a new master bedroom, with a warm and contemporary feel that also maintains the original brick and window architecture. 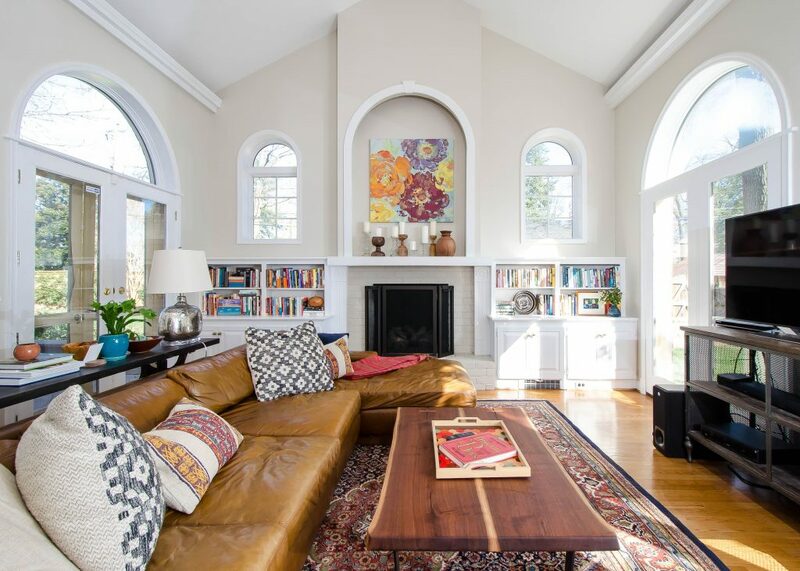 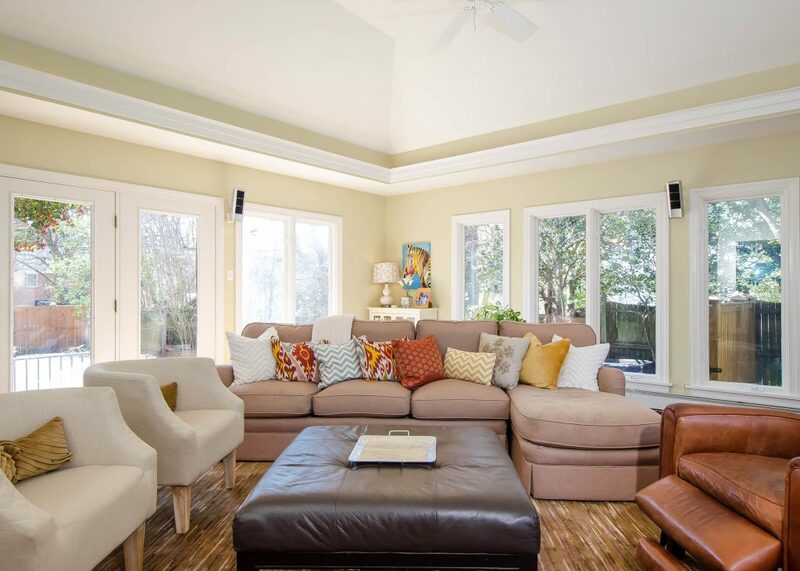 A bright sunken family room with vaulted ceiling connects the house to the pool, patio, and large yard. 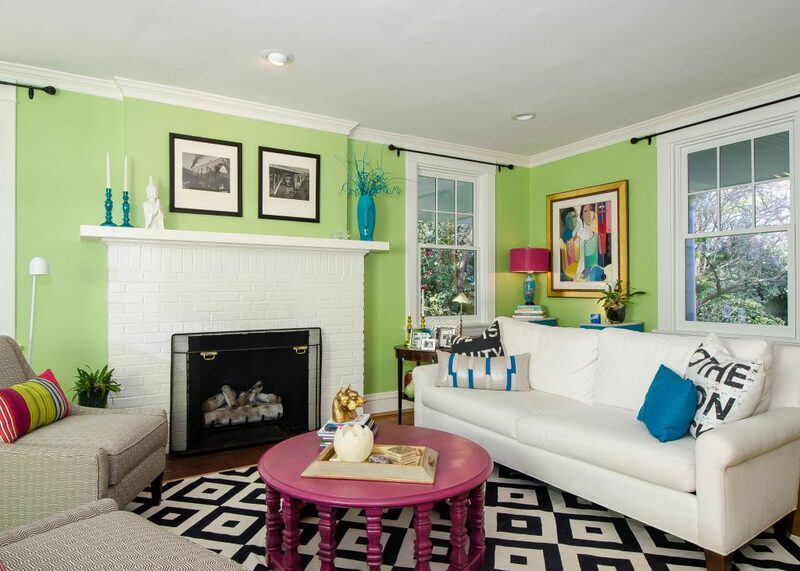 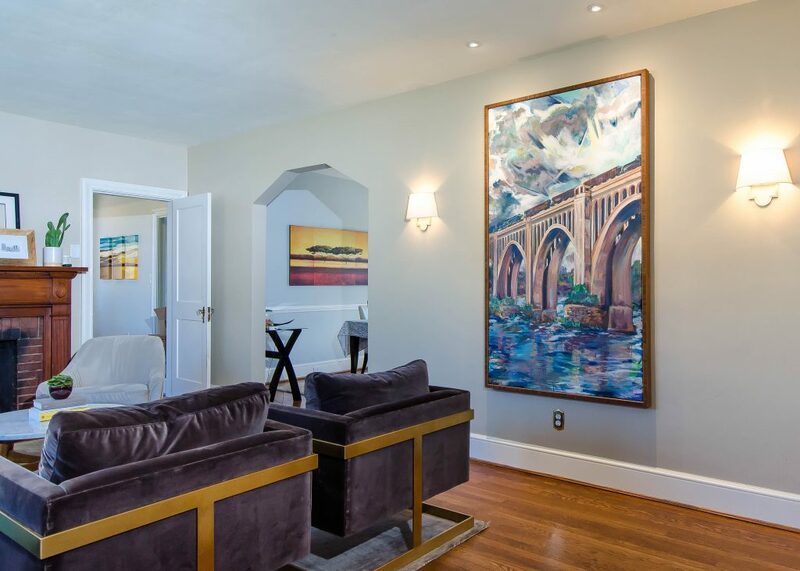 Watch for the local artwork throughout the house, including works by the owner herself and mural by Ed Trask.